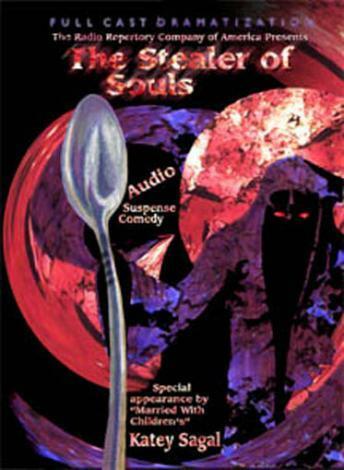 Katey Sagal ("Peg Bundy" on TV's Married With Children, and "Leela" from Futurama) makes a special guest appearance in this hilarious horror about a wickedly bad soul who tries to swipe the essence of innocents, leaving them with a blank look and an overwhelming desire to watch Maury Povich. The only opposition is a fumbling English professor armed with grape Jello! Wonderful new series from the Radio Repertory Company of America, with excellent production and a full original score.